How many minority languages are there in Sweden? Swedish is Sweden’s official language and is spoken by most of the 9 million people who live here. Of course, people who live in Sweden speak an array of languages such as English, French, Hindi, Persian and Arabic. But did you know that there are 5 official minority languages in Sweden? In 1999, the Minority Language Committee of Sweden formally declared these five official minority languages. Finnish – Ethnic Finns make up about 5% of the population of Sweden, and the Finnish language is used by over 200,000 people. Meänkieli – Spoken by the people of the Torne Valley, it is so closely related to Finnish and is sometimes considered a dialect of Finnish. 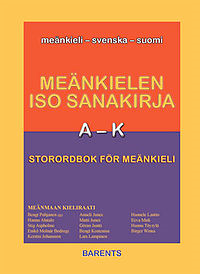 Between 40,000 and 70,000 people speak Meänkieli as their first language. Sami – Sami people (formerly known as Lapps) are a people indigenous to the northern regions and who speak a closely related group of languages usually grouped together under the name “Sami”, although at least three separate Sami languages are spoken in Sweden. Between 15,000 and 20,000 Sami people live in Sweden of whom 9,000 are Sami-language speakers. Worldwide, between 20,000 and 40,000 people speak Sami languages (most Sami now speak Swedish, Norwegian, Finnish, or Russian as their first language, depending on the country in which they reside). Romani – Romani is the language spoken by the Roma people, a nomadic ethnic group originating in northern India. Romani is an Indo-Aryan language, closely related to languages spoken in today’s India, and sometimes written with an Indic Script. Approximately 9,500 people in Sweden speak Romani. Yiddish – Yiddish is a language formerly spoken by most Ashkenazic Jews. Although the Jewish population of Sweden was traditionally sephardic, after the 18th century, ashkenazic immigration began, and the immigrants brought with them their Yiddish language. There are around 18,000 Jews in Sweden, and about 4,000 speak Yiddish.